Four of the largest U.S. manufacturers on Monday unveiled plans for a new group committed to train military veterans to work in the manufacturing sector. General Electric Co, Alcoa Inc, Boeing Co and Lockheed-Martin Corp said they would provide financial support to the “Get Skills to Work Coalition.” It will initially aim to train 15,000 veterans, who will be hired by the four companies or matched to other jobs. Open jobs will be listed on LinkedIn. The group will be managed by the Manufacturing Institute, an affiliate of the National Association of Manufacturers trade group. GE will invest an initial $6 million in the program. The program will get its start in January at Cincinnati State Technical and Community College in Ohio, near a major GE Aviation factory, and be rolled out to nine more U.S. cities over the course of 2013. It calls for working with community and technical colleges to speed up training; translating military skills into equivalent civilian job functions; helping employers with recruitment and managing workers; and developing on-the-job training programs in major cities. Some 600,000 manufacturing jobs in the United States have gone unfilled because companies cannot find workers with the appropriate skills to work in high-tech, high-speed modern factory environments, according to a study by the Manufacturing Institute and Deloitte. 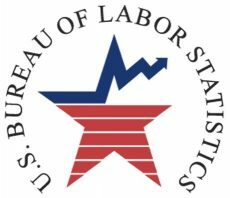 That has been a particular frustration for U.S. policymakers as stubbornly high unemployment has been one of the main barriers to the nation’s economic recovery from a brutal 2007-2009 recession. The founding companies collectively employ 64,000 veterans. Besides current unfilled jobs, up to 2.5 million manufacturing jobs will open up within five years as older workers retire, GE said. Nearly a million workers in the oil and gas industry are approaching retirement age. “We can’t get enough people to do the work we need to do in oil and gas,” Immelt said. Executives from the four companies said they were responding to a ‘skills gap‘ where employers find too few qualified people. Many positions require literacy and math skills that few applicants possess, executives said at a panel in New York. Most job applicants don’t have those skills but veterans learned them while serving, Alcoa executive Bob Wilt said. “There’s a problem with skills,” he said. Yet some question the severity of a U.S. skills gap, at least in the short term. “While manufacturers are having some difficulty finding people, there isn’t a major skills gap right now,” said Hal Sirkin, senior partner of the Boston Consulting Group (BCG) and co-author of a new report on the topic. BCG defines a skills gap as jobs where pay has outpaced inflation by 3 percentage points for five years running. By that measure, a few categories — such as welders and machinists — show skills shortages, but those are limited to only about 8 percent of the high-skilled manufacturing workforce, which is itself a small part of total U.S. employment. Longer term, as workers retire and too few replacements are trained, the skills gap will become more pressing, BCG argues. It says state and federal governments can encourage training through community colleges and universities. “We’re not training enough people,” Sirkin said. Part of the problem, however, is that employers’ high expectations add to the perception of a skills gap, the BCG report said. Employers demand skills and experience for relatively low pay. BCG’s report cites a job posting that calls for a college degree in biology or chemistry, experience in manufacturing, mixing chemicals, and handling hazardous materials and — preferably — knowledge of SAP software. For this level of competence, the anonymous employer offers $15 to $17 per hour.